Yes, Ford’s fearless crossover is back on city streets, as the 2018 Ford Edge makes its way to Team Ford. Coming in a four-pack of models from the standard SE trim to the head-turning Ford Edge Sport, every element stands out with this powerful crossover SUV. We also have a variety of used models in a wide selection of colours and variations to make sure you get the ride you want with the look you prefer. Swing by our Team Ford dealership in Edmonton to see it for yourself, or check out our inventories, stocked full of options for you.  Whether you’re looking for something brand-new or pre-owned, you’ll find great value for your purchase with Team Ford. Look for the 2019 Ford Edge ST to come soon, and take a closer look at Team Ford Edmonton’s entire Ford Edge lineup below. Navigating central Alberta’s highways is no challenge for the Ford Edge, and you get to choose from three available engines. The standard 2.0L EcoBoost reduces the amount of trips you’ll need to take to the gas pump, returning 8.0L/100 km on the highway and 11.3L/100 km in the city. The available 3.5L V6 engine is no slouch when it comes to gas mileage, delivering a highway fuel economy of 9.1L/100 km, 13.5L/100 km in the city. And don’t doubt the class-leading V6 power that’s delivered by the Ford Edge Sport, with 280 HP and 250 lb-ft. When Ford introduces an innovative safety technology to Edmonton, it usually first appears on the Edge of the lineup—literally. The Ford Edge features a ton of standard safety features available on all models to continually monitoring your well-being. These systems are both preventative and responsive, with dual-stage front airbags with side-curtains and knee protection, tire pressure monitors, rear-view camera, crash severity sensors, and much more, to keep you and the family safe and sound. Add in parallel parking assist, a 180-degree front parking camera, blind spot monitoring and lane keeping assist, and what you get is a Ford Edge that is safer than it’s ever been. Look for the 2019 Ford Edge ST to bring even further improvements with the full Co-Pilot 360 Suite next model year. Discover the wide selection of 2018 Ford Edge parts and accessories at Team Ford in Edmonton! In our parts store you’ll find what you need to custom tailor the appearance of your Edge and its utility. From trailer hitch kits to all-weather floor mats, light-up door sills to aluminum pedal covers, cargo security shades to rear bumper protectors, we’re stocked with all sorts of fun and practical add-ons to put your Ford Edge on the leading edge. Order parts online or come see us at our part store. Bring the family along for a test drive here at our Team Ford dealership. Or take a look in our New Inventory for a variety of trims of the 2018 Ford Edge in Edmonton.